Gixxer 250 might be revealed in January 2019, with the launch is following months. It will look similar to the regular Gixxer, but with more aggressive design work. Suzuki is riding on the success of its naked sporty commuter, 150cc Gixxer. Its semi-fairing sibling is also quite popular amongst bikes under Rs 1 Lakh. We have an update to our report on the Suzuki Gixxer 250. Speculations suggest that the quarter-litre naked bike might be revealed at a dealer meeting. The public and media reveal might happen in a couple of months. Gixxer series is only available in India, while globally the naked bikes come in GSX-S series. Gixxer 250 will be the naked version of the GSX-250R but will use a different engine and come with a new set of features. 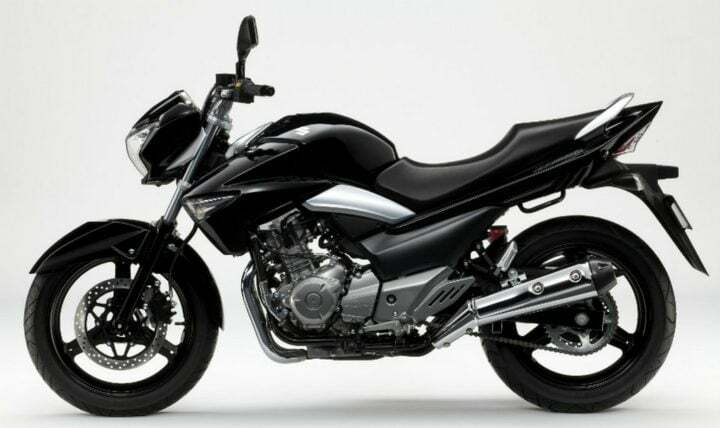 For styling cues, it will borrow some design elements from GSX-S750 and GSX-S1000. Currently, the demand for entry-level premium motorcycles is burgeoning, which includes 250-300cc bikes. To cash on this opportunity, Suzuki is considering bringing its 250cc naked bike in India. Suzuki GSX-250R gets a 249cc liquid cooled twin-cylinder engine. However, Gixxer might just come with a 250cc single-cylinder fuel injected engine. A twin-cylinder bike will be launched at a higher price. Suzuki Gixxer 250 might produce somewhere around 20 BHP and 23 Nm of peak torque. The figures will be a lot lower than the global-spec 250cc GSX. The engine might pair up with a 6-speed gearbox. For lowering the costs, it might use conventional telescopic forks instead of USDs and mono-shock absorbers at the back. For braking purposes, the Gixxer 250 will come with front and rear disc brakes paired up with a dual-channel ABS setup. The quarter-litre naked bike will come with features such as a fully digital instrument cluster, LED headlamps, LED tail lights, split seats and premium spoke alloy wheels. For safety, it will come with a dual ABS setup. In India, Yamaha FZ25 and KTM Duke 250 will be its ideal rivals. While the FZ25 might also come in a similar price bracket, Duke 250 will be priced much higher than Gixxer 250. The increasing demand for premium motorcycles has led to an increase in bikes in the 200-300cc segment. Now, this segment boasts off many motorcycles from different brands including naked, fully faired sportsbike, commuter-sports and adventure motorcycles. Prices of Suzuki Gixxer 250 will be around Rs 1.3 Lakhs – Rs 1.4 Lakhs. The price fits properly for a 250cc bike and the pricing makes it more competitive with the Yamaha FZ25. It will also face a bit of competition from Pulsar NS200, Pulsar RS200 and TVS Apache RTR 200 4V.